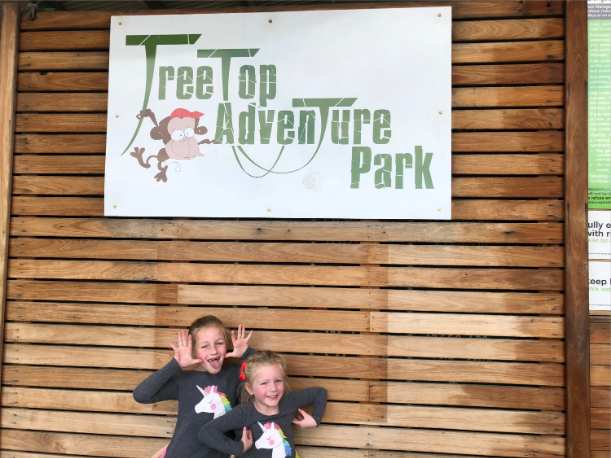 If you are looking for a fun and active activity for the tribe, our tribe loved monkeying around at Tree Top Adventure Park. Tree Top Adventure Park is for all ages from 3 and up. There are easy courses that are down low to the ground for the little ones, and the older kids also have to master these courses twice through before they can graduate onto the more difficult courses. The white course is the beginner course and the one our 4 year old preferred to navigate over and over. The next level up was the yellow course which is above adult head height and slightly more scary for little ones but also totally achievable. This is the one our 6 year old liked the best. Beyond that you will find the orange course which is high up in the trees and is for the kids who don’t have a fear of heights! Then onto the purple course which is for the real daredevils in your tribe. Each course is different but presents thrilling challenges for the kids to explore. The kids go through safety instructions with an instructor and they all get harnesses and helmets and shown how to hook themselves up to the overhead wire on each course. They have to learn how to get their equipment to move along the course as adults aren’t allowed to go up on the children’s courses. Staff can come and rescue any kids that get a bit stuck but for the most part, the kids are quite independent while navigating the courses. The kids are given safety rules before they start climbing and anyone who breaks the rules could be unhooked and sent for a time out, but luckily we never saw this happen as all the kids were super encouraging of each other and were sure to follow the rules. 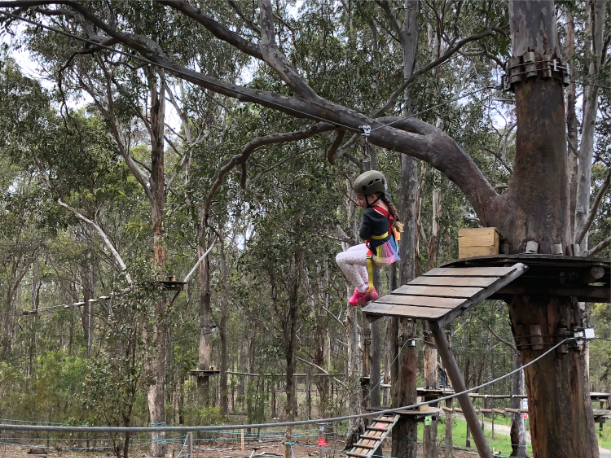 There are a couple of Tree Tops Adventure Parks around NSW. There is one located on the Central Coast, Newcastle, Sydney, Western Sydney and Coffs Harbour. 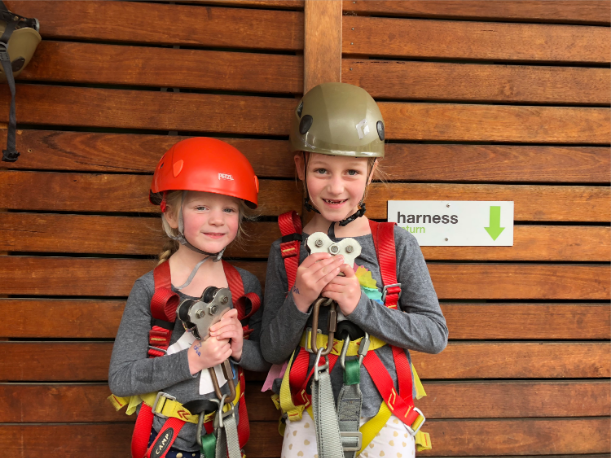 Each Tree Tops Adventure Park has different array of challenges to enjoy meaning if you wanted to visit a different one, you would have a completely different experience! Some of the features include flying foxes, cargo nets, Tarzan swings, tight ropes, suspended rafts, trapezes, twisted ladders and more! 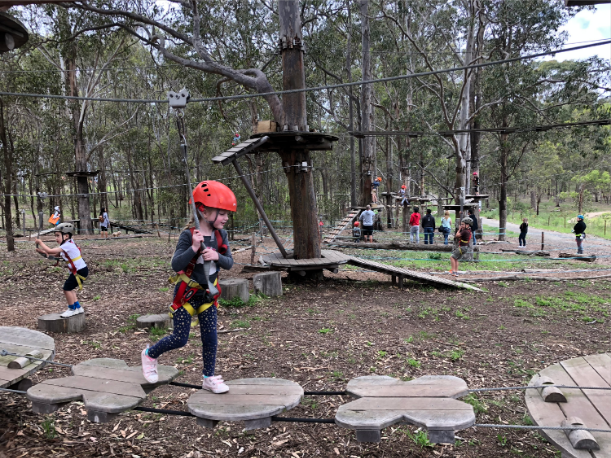 Central Coast Tree Top Adventure has vertical challenges with climbing walls for ages 5 and up. Central Coast and Western Sydney also have the Crazy Rider, the longest and fastest roller coaster zip line in the world! And Central Coast and Sydney offer party spaces with the Tree Hut available for party fun. Take the kids to the toilet before they get harnessed up because they only have their timed session and you don’t want to waste any time getting unhooked and going to the toilet. Also wear close toed shoes or you can’t climb!